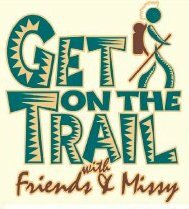 “Get on the Trail with Friends and Missy” is kicking off its 21st year as a guided hiking series to raise funds to support Great Smoky Mountains National Park. The series features day hikes in the Smokies led by U.S. Olympian and personal fitness guru, Missy Kane, each Wednesday in April. Since 1998, Missy Kane has helped hikers of all ages explore the park, learn more about exercise and physical fitness, and experience the history, wildlife, and natural beauty of the Great Smoky Mountains. To date, these hikes have raised more than $200,000 through the generous support of participants and sponsors to help fund critical park projects including wildlife conservation efforts and trail maintenance. To register for any of the upcoming guided hikes, hikers must pre-register by calling the Covenant Health Call Center at 865-541-4500. 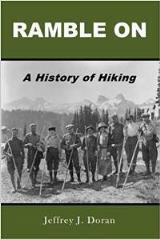 Space is limited and the hikes will sell out. The cost for each hike is $20 per person with proceeds supporting Friends of the Smokies and Great Smoky Mountains National Park. A complimentary Friends of the Smokies membership is provided with registration of the entire series. Get on the Trail with Friends and Missy is presented by Humana and Knoxville News Sentinel, and sponsored by Home Federal Bank, Cabins of the Smoky Mountains, East Tennessee PBS, Farm Bureau Insurance, and LeConte Medical Center, with special thanks to Rocky Top Tours for logistical support.